Prior to our arrival in Vietnam, we read horror stories about dodgy taxis that give visitors the run-around and charge exorbitant rates. We were warned to make a bee-line for a Vinasun or Mailinh cab at the airport in Ho Chi Minh City and not to be swayed by touts trying to lead us to an unlicensed or at least unsavory cab. We soon learned that taxis are effectively obsolete. All you need is the Grab app on a smartphone with a local SIM and all your city-based transportation needs are sorted. We used Grab Vietnam in Hanoi, Hội An, Da Nang, and Ho Chi Minh City. Read on for six reasons why Grab ride hailing services are game changers for tourists traveling around Vietnam. It was easy enough for us to find a Vinasun or Mailinh taxi at the airport but what about transportation needs when you are in city exploration mode? Hailing a taxi on the streets of Vietnam can be a dicey affair. For one, they won't always stop to pick up foreigners. Secondly, if they do, you can't be sure of the quality you're getting. Grab Vietnam drivers undergo background checks and must adhere to a strict code of conduct and have star-ratings. If ratings drop too low, the drivers aren't given any fares. We used the Grab app in Vietnam on several occasion to arrange for rides across town in Hanoi and Ho Chi Minh City and were riding in air-conditioned comfort in less than 10 minutes. In contrast, finding a traditional taxi in Vietnam can take longer. Often times, taxi drivers see tourists as ideal marks for taking the scenic route and jacking up the fare. This is true everywhere. It even happened to us when we moved to Dublin when our driver took us down the Malahide Road into Dublin City from the airport. With Grab, the fare is agreed in advance when you call the car. There is way less hassle using Grab Vietnam when traveling since the fare is fixed and transparent. All you have to do is pay the required amount when you get to your destination. Note: in contrast to ride-sharing apps in many western countries which typically only take credit card payments, Vietnam is a cash-based society so make sure to bring enough Dong to cover the cost of the ride. When we visit places that are further afield from our usual range of experience, we often book any required taxis through the hotel. This often leads to frustration: waiting in line to speak to the front desk, having to figure out in advance exactly when a car in needed. In addition, hotels will often book an expensive car service instead of a taxi. If they hail a taxi for you outside on the spot, there is always the awkward question of whether or not to tip. All these concerns and frustrations go away with Grab Vietnam. I can vividly recall instances on our travels in Southeast Asia and China where we were in a taxi (without seatbelts, of course) and the driver, at break neck speed, attempted a risky maneuver. I've grabbed the "Oh, sh** bar" on more than one occasion and literally shouted "we're gonna die!". With Grab's code of conduct and driver rating system, the risk of unsafe driving practices is greatly reduced. Safety first! 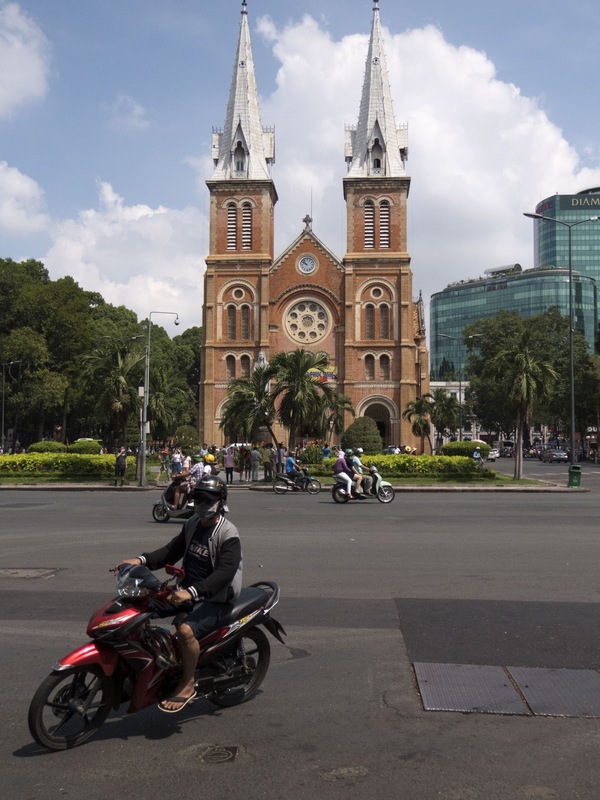 If you're traveling solo, you can even book a ride on the back of a motorcycle and fly around like the locals do in Vietnam. We didn't try this (a) because I'm a scaredy-cat about riding a motorcycle in Vietnamese traffic (b) I'm not sure how it works if there are 2 people that need a ride. Presumably you need to have Grab installed on two different phones since only one person fits on the back of a motorcycle. Want to know what impressed us the most about using Grab in Vietnam? The prices! In Hanoi, we took a 15 minute ride across town and it ended up costing less than the equivalent of $2 USD. The prices are definitely reasonable (and you know what you're paying upfront) so there is no excuse not to take Grab for a ride. Have you used a ride-sharing app like Uber, Grab, or Lyft on your travels in Vietnam or elsewhere? What was your experience? Leave a comment below and let us know! Read about using Grab in Vietnam. 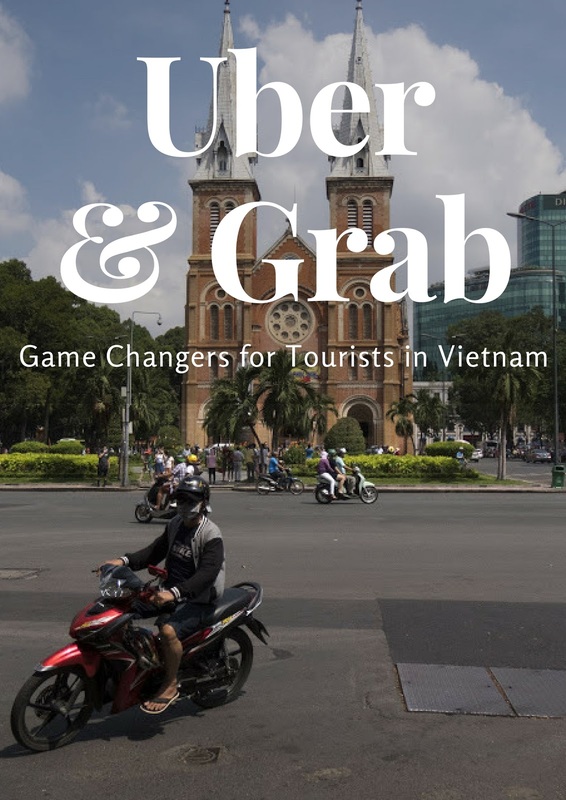 Learn why tourists should use ride-share services like Grab Vietnam and Uber Vietnam instead of a traditional taxi on their travels.